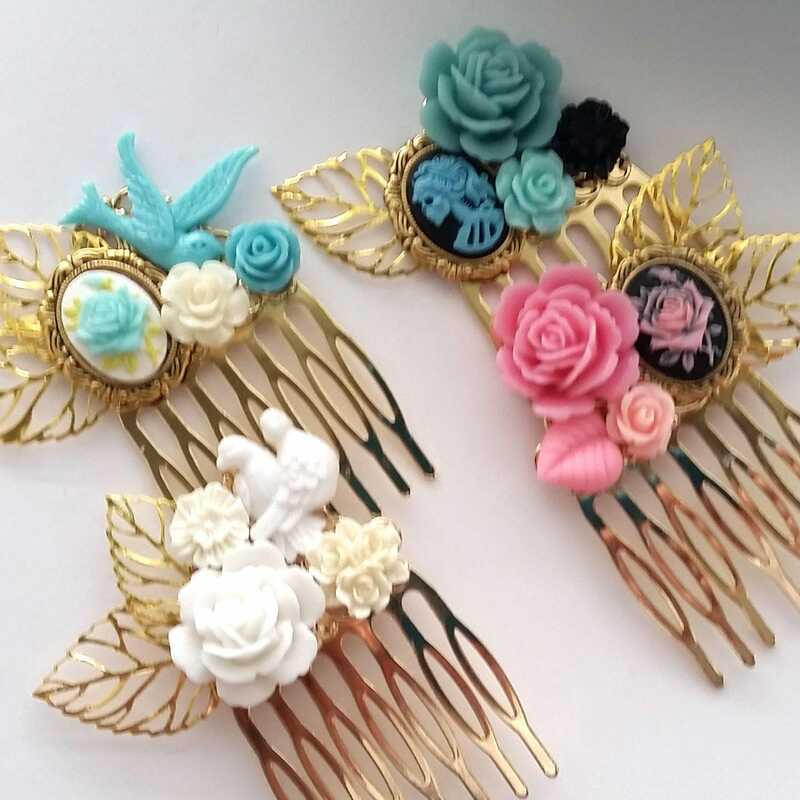 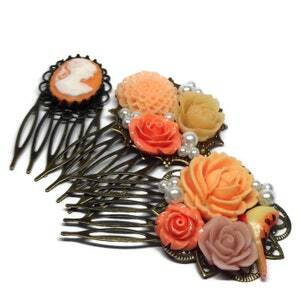 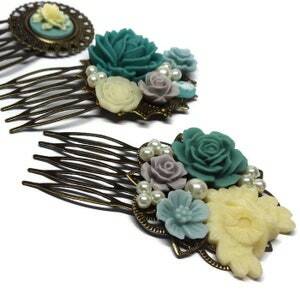 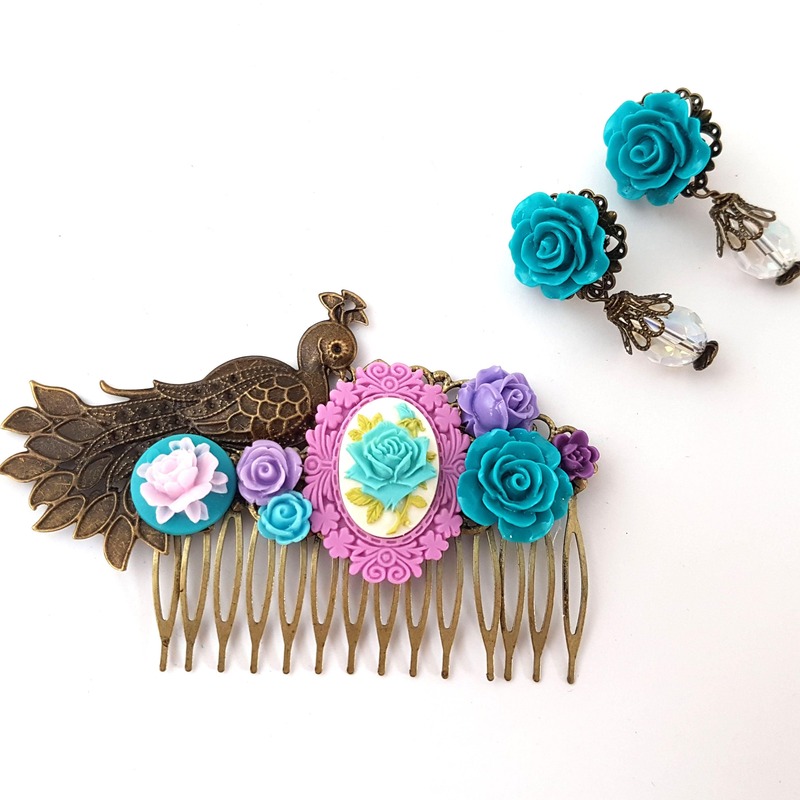 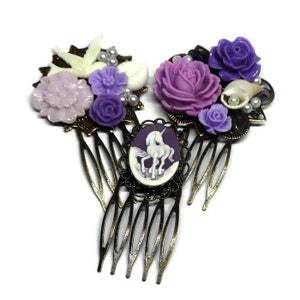 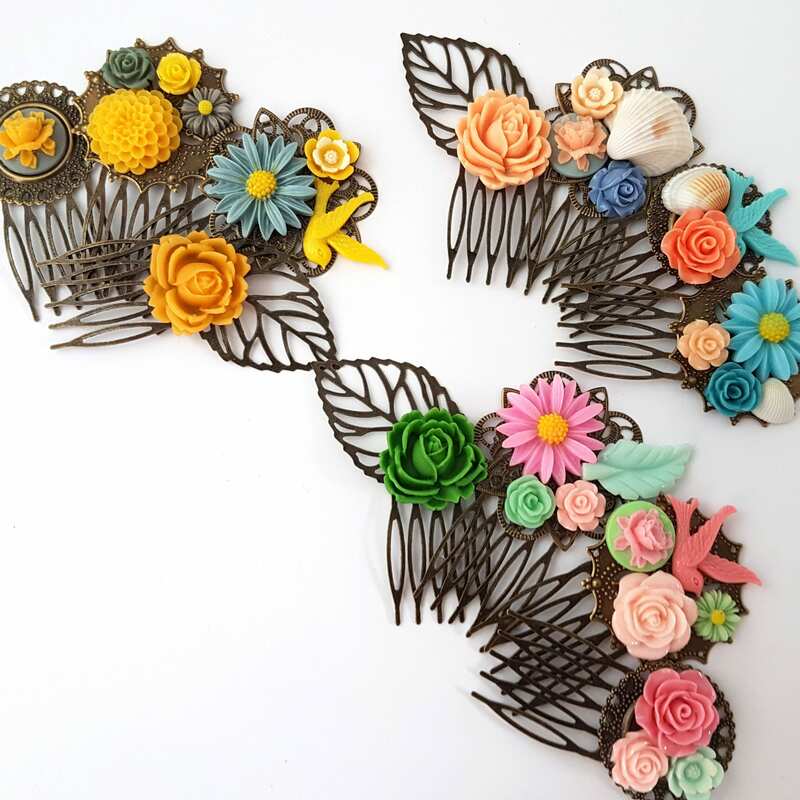 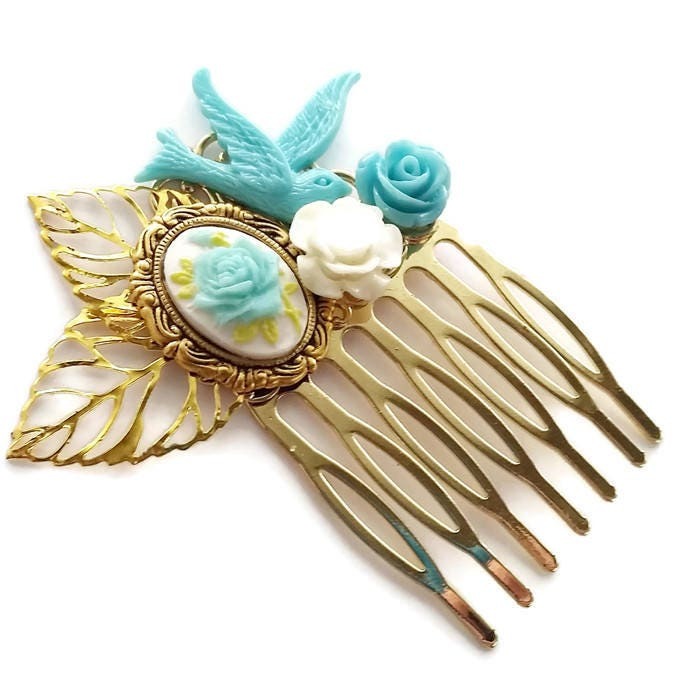 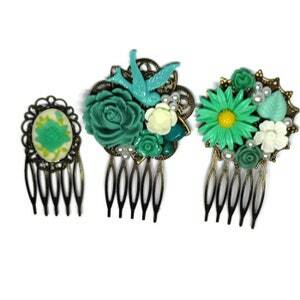 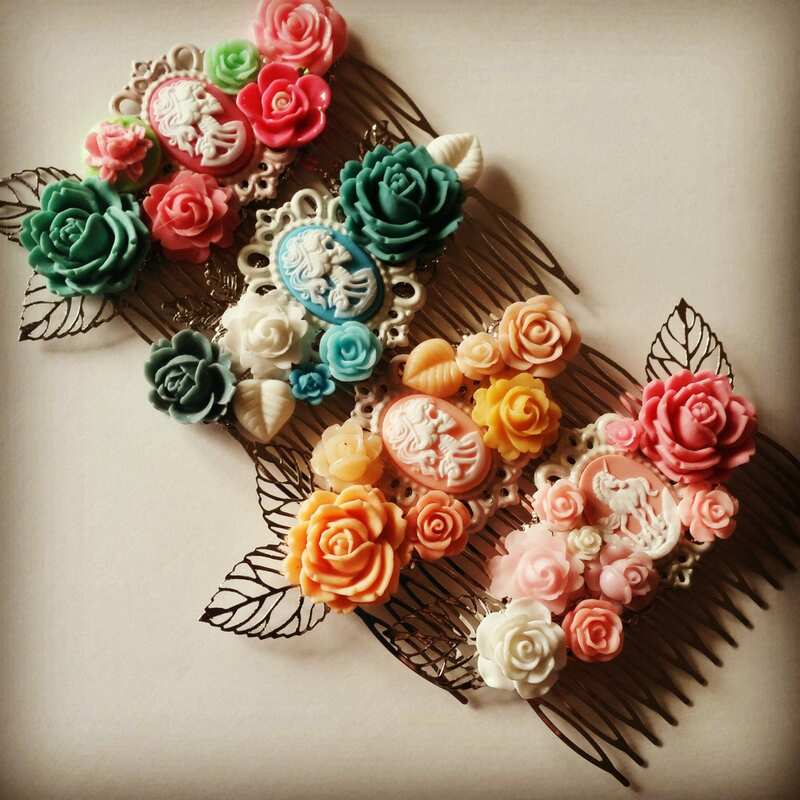 This stunning comb features a blue rose cameo set in golden setting and surrounded by flowers. 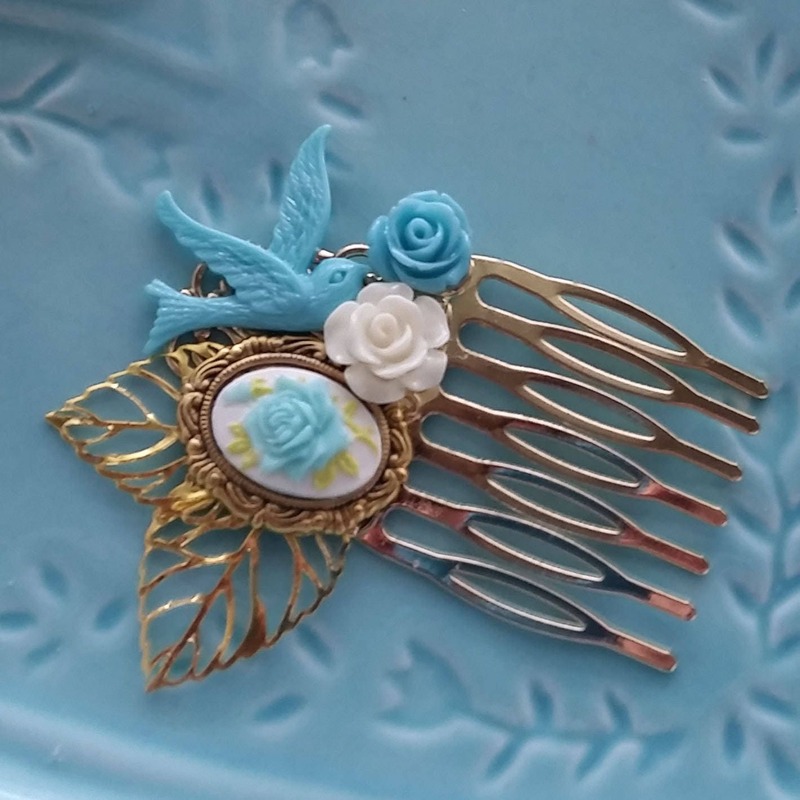 This will be great for any special occasion or even your wedding. 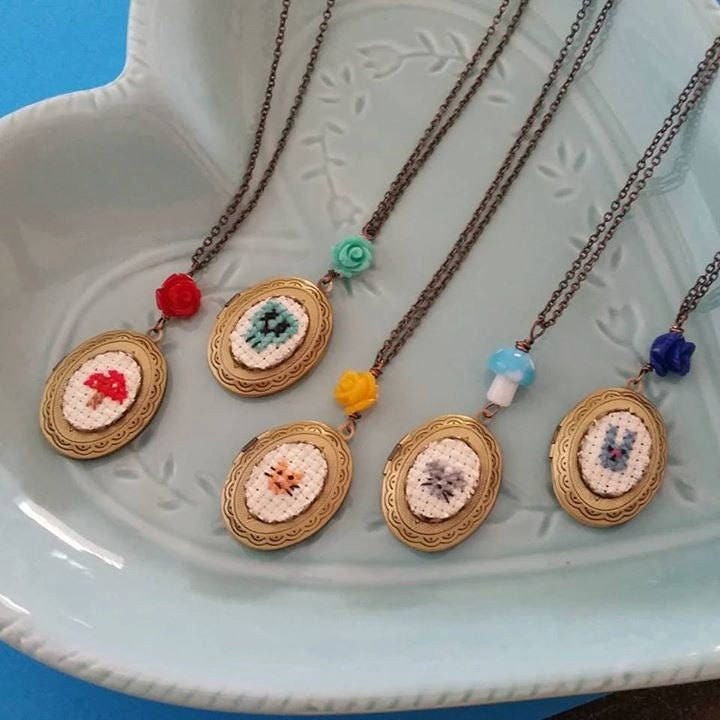 it's also small enough to wear everyday! 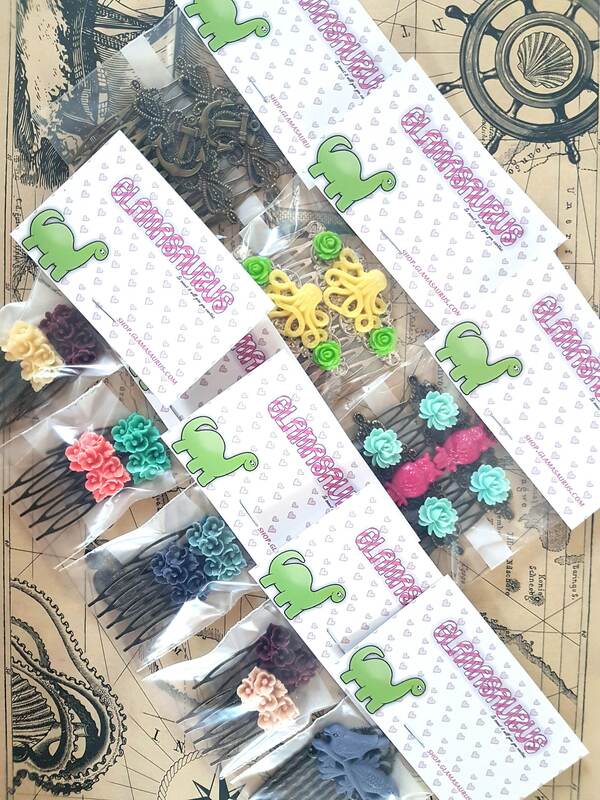 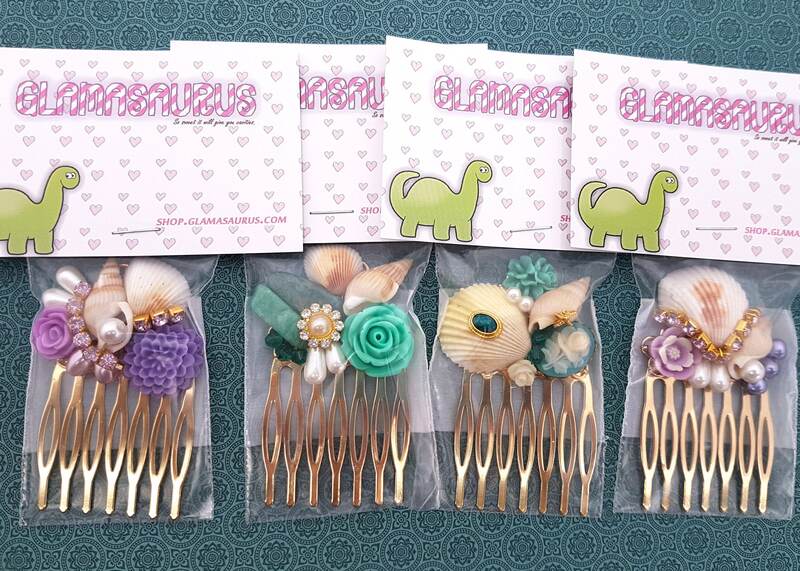 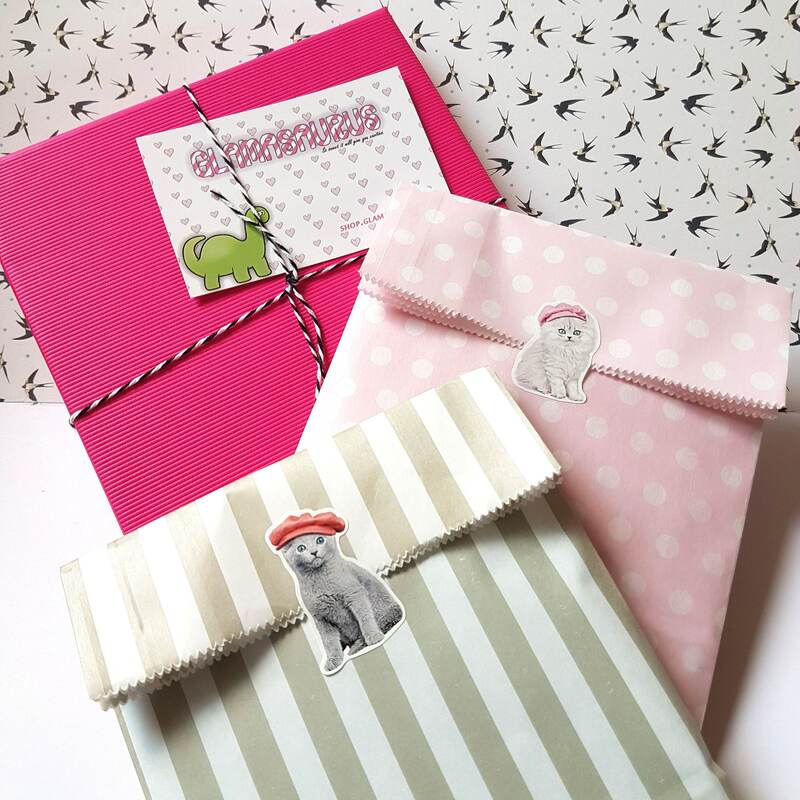 The last two photos show some more Glamasaurus goodies!